Have you just announced your engagement and are you looking forward to the most romantic day in your life? Usually when people start planning their wedding day, they get frustrated because there are so many things to think about. Anyhow, once you finish all the planning and organizing, you want to enjoy your big day and to share the happiness with the loving ones. And, of course, you want to capture memories of the important emotional day. Even though you have to stick to your budget, try not to save on a wedding photographer if you want to look wedding photos in years to come with a smile on your face (and tears in your eyes). 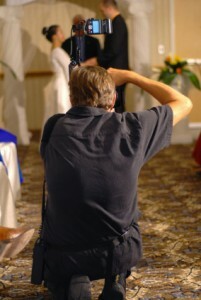 So, how to find a great wedding photographer and to get the best photos? First of all, it depends on where your wedding ceremony will take place at. For example, if you are from Detroit, you should look for one of the best affordable wedding photographers Detroit has to offer. If you organize destination wedding, you will have to take a look at some online places where all the wedding photographers are listed and where you can read clients’ reviews and take a look at photo galleries. So, check out their previous works, reviews and compare service costs. This is important! Do not look only a gallery, check out the full wedding albums in order to get the bigger picture of the potential wedding photographer’s style and work. When you finally decide which one is the right for you, you need to communicate with him/her. Communication is the key to the success, not only when it comes to wedding photography, but here it is especially important. So, you have to be loud and clear about what you expect from your wedding photo album. Talk to your photographer and together make the list of the “must take” shots. Introduce your wedding photographer to your family members and relations, what you would like to be avoided and what you prefer.